Do you have goals to better yourself and your family? 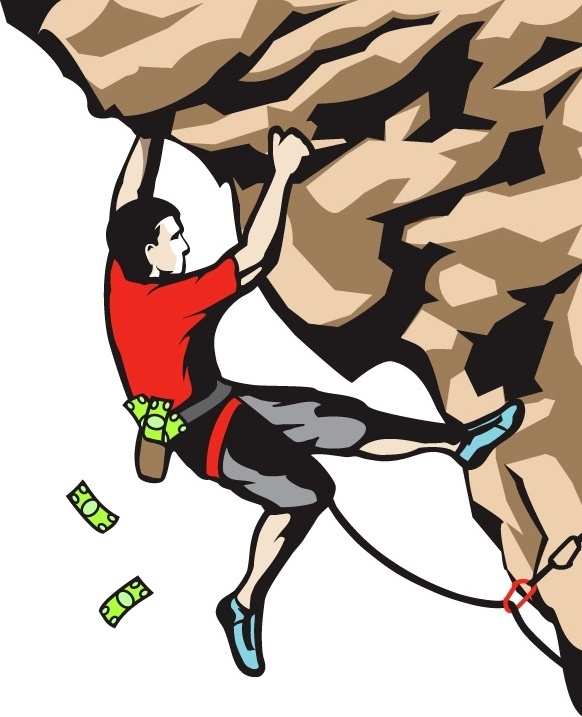 If one or more of your goals are financial related, we encourage you to consider these seven possible goals to help you avoid your own personal fiscal cliff. Diversify your income. You can diversify your money by taking a small portion of your income and putting it to work for you in other investments. Doing so will put your money to work and give you additional forms of income in addition to your job earnings. Even $50 – $100 more per week in earned income can have a significant impact on your personal finance situation. It allows you to trade money for money instead of just time for money. Use leverage. Like any industry that uses tools, leverage is the tool of choice in the financial world. Using small amounts of collateral or money deposits to control larger amounts of investment gives your money a bigger bang for your buck. A lot of people don’t understand what leverage is or how to use it. If you resolve to learn how to use it properly, it can become a powerful tool to allow you to do things with your personal investments that you couldn’t do before. Diversify your risk. Risk diversification is key to financial success, but most people fail to diversify risk correctly by forgetting most of their assets are in U.S. dollars. Diversifying some of your assets in foreign denominated currency can add that last bit of safety you need in case of a deterioration of the U.S. dollar. Invest in yourself. You don’t need to eat the entire financial elephant in one sitting, instead commit to investing a small amount of time each week learning new financial strategies and concepts. In just a few short weeks, your new found knowledge can sharpen your financial skills and senses. Follow your personal investing style. Just as certain physical traits are more conducive to different sports or certain personality traits are helpful in different professions, each person has financial traits conducive to different styles of financial management – financial traits that are good for success. Learn what makes you tick and invest based on your personal financial trait. Always pre-calculate your risk of loss. Any time you put money to work, there is a risk of loss. Risk of loss should not be a problem if you correctly calculate the risk before you invest and are financially willing to accept some predicted loss. A good investment is one where the potential gain is greater than the pre-calculated loss. Mix-up your markets. There are more markets than just the stock market – or the mutual fund market. There are five separate and independent financial markets: stocks, bonds, derivatives, commodities, and currency. Not all markets move the same way at the same time. This opens up new opportunities for profit as well as protection. Learning what the other markets are and their structure and advantages can give you a leg up in your financial future. Apiary Fund is a great source for you to use in achieving these and many other goals that can help you shore up your finances and supplement your income. If nothing else, it provides great training and education on how to successfully trade currency. Once training is complete, you can supplement your income by becoming an Apiary trader. There is no risk, no investment required – you are given an account to trade Apiary’s funds and share in the profits of your successful trades. Learn more here about Apiary Fund and me, Shawn Lucas.